The French parliamentary election includes 11 new expatriate constituencies – with voting beginning this weekend. IRELAND’S POPULATION of almost 10,000 French citizens are today casting their votes in the first election of its kind, and a relatively unusual one in international terms – for their own MP in the new French parliament. Offices in Dublin and Cork are opening today to facilitate French nationals who live full-time in Ireland, and who have not already cast their ballots by post, who are casting votes to elect an MP for the troisième circonscription in the new parliament. It’s the first time in French history that the parliament will include members whose specific role will be to serve the interests of the French people living overseas. The troisième circonscription (‘third circuit’), officially titled ‘Northern Europe’, is one of 11 constituencies which will elect MPs; as well as Ireland, the constituency also includes Britain, Scandinavia, the Baltic countries, Iceland and Greenland. That might sound like a large patch, but it’s one of the smaller ones: the Middle East and most of Africa forms the 10th, while all of Central and South America forms the 2nd. They’re not the worst: one MP will be asked to serve all of Asia and Oceania, stretching from Siberia to New Zealand. 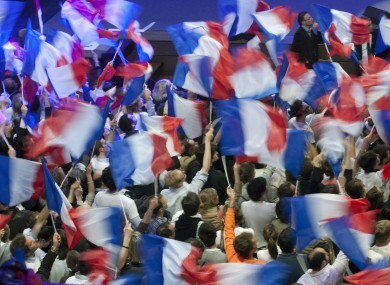 The 11 members will be serving an estimated 2.5 million French citizens who live outside of the country’s mainland; the Northern Europe constituency has an official electorate of 89,345. Though it’s the first time that expatriates will have elected members, overseas voting is not unusual for France: the country’s overseas départements and territories, like Guadeloupe and French Guiana, already elect MPs. The 2011 census listed Ireland has having an official population of 9,749 French citizens, though this naturally includes people who are not of voting age. A total of 577 MPs will be elected to the new parliament over the coming weeks, with the mainland constituencies holding run-off votes on successive weekends in a similar format to the Presidential election won by Francois Hollande in April. Email “Ireland's French population voting for their own MP in new parliament”. Feedback on “Ireland's French population voting for their own MP in new parliament”.